Since many of you seemed to enjoy the last mystery insect, I have another for you. Can you tell what order of insect it might be? Can you figure out what kind it is? If you would like to share, please leave your ideas in the comments. 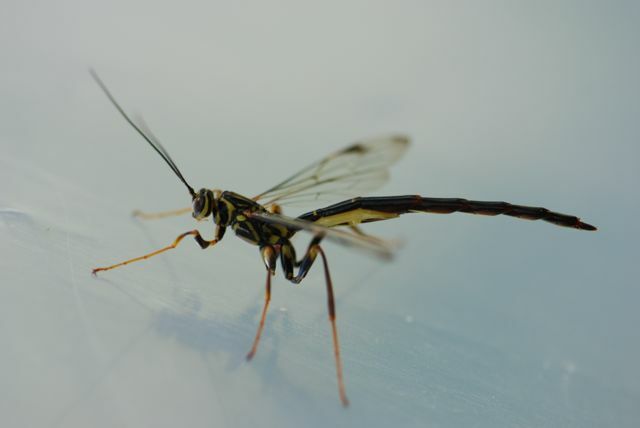 Wow, the front half sure looks like a wasp, but that abdomen is weird!